Just because you already exercise, doesn’t mean you’re healthy! 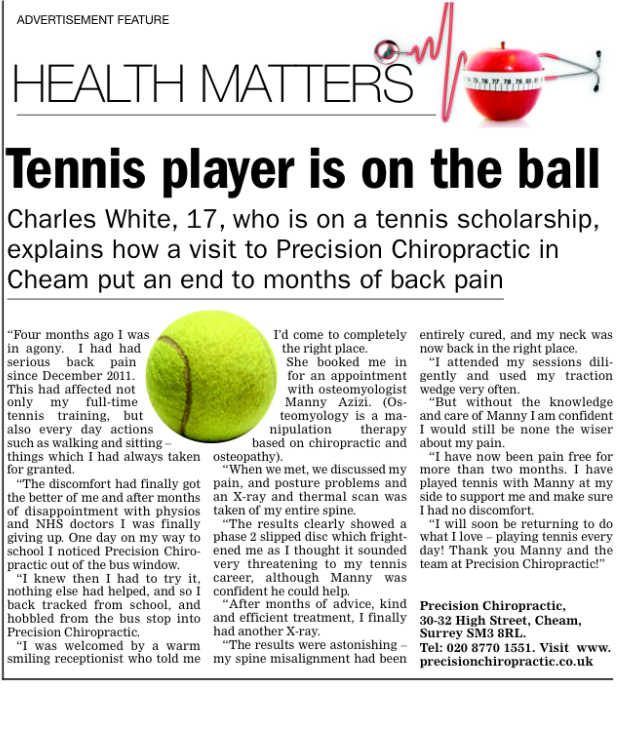 Precision Chiropractic helped a promising young tennis scholar get back to optimal health to continue doing what he loves every day, pain free! To make an appointment or to find out more information please fill out the form below or give us a call. Our purpose is to inform you about your particular postural problem. We believe that this knowledge will give you a platform from which to take corrective steps to improve your health through improved posture.